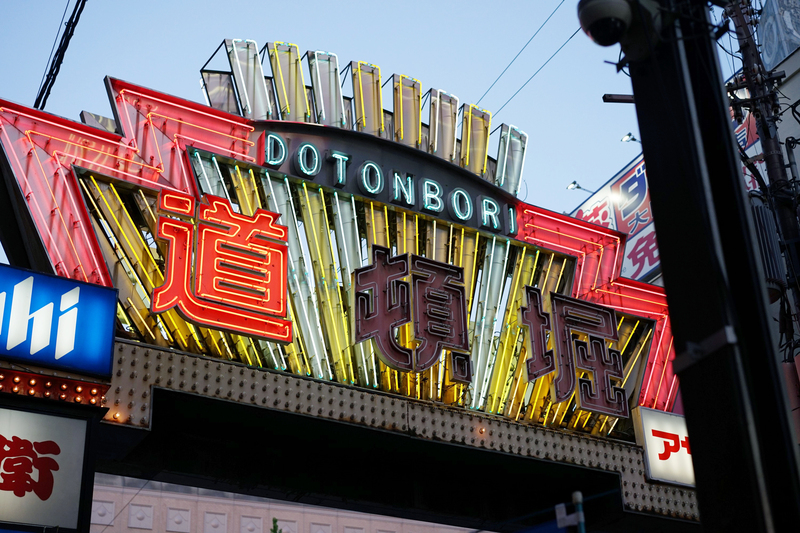 We visited Dotonbori and Namba on the 7th day, a popular shopping and entertainment district in Osaka. 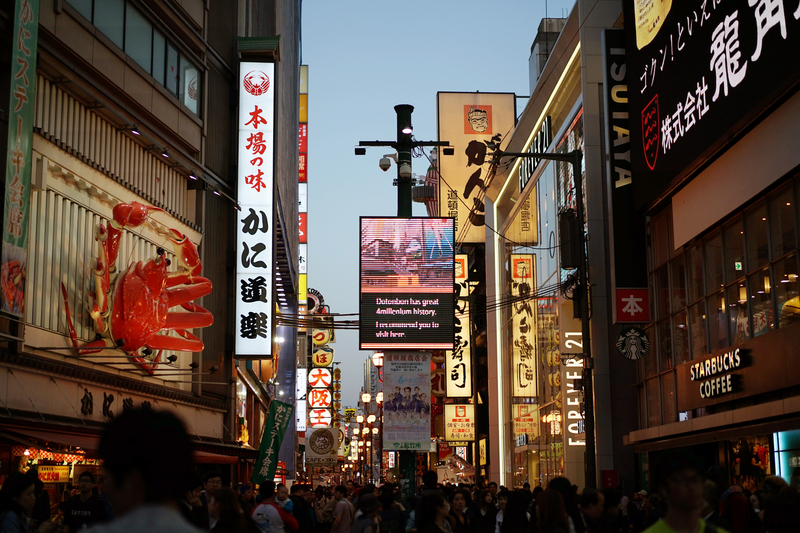 I received a lot of recommendation to visit it during the night because that is when the crowd and neon lights emerges. Of course, to take pictures with the iconic Glico Running Man. Since we are planning to explore Dotonbori ’till late, I brought a wool coat to keep me warm. I paired my black turtleneck (again) and grey skirt together with this awesome wool coat by … . Turtleneck top is my savior for cold weather traveling. 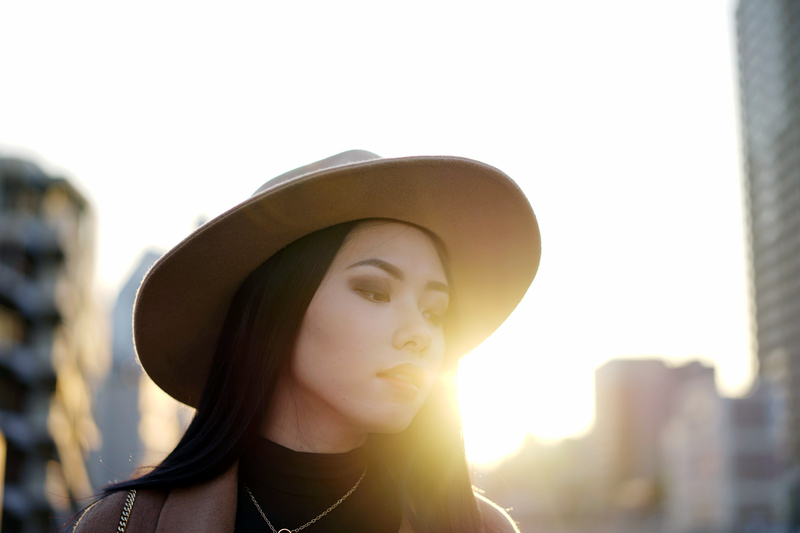 I added on brown fedora to add a bit of chic to my look and it also matches with my outer. After a whole week in Japan, I wanted to try a little bit of Harajuku style on me. To bring a bit of local tang, I chose these long socks with stripes details that goes over the knees. Comment below on what you think! Kalvin and I had to cross this bridge to get to Dotonbori from our place. Lucky for us it was during the golden hour! And oh my, it is very golden. 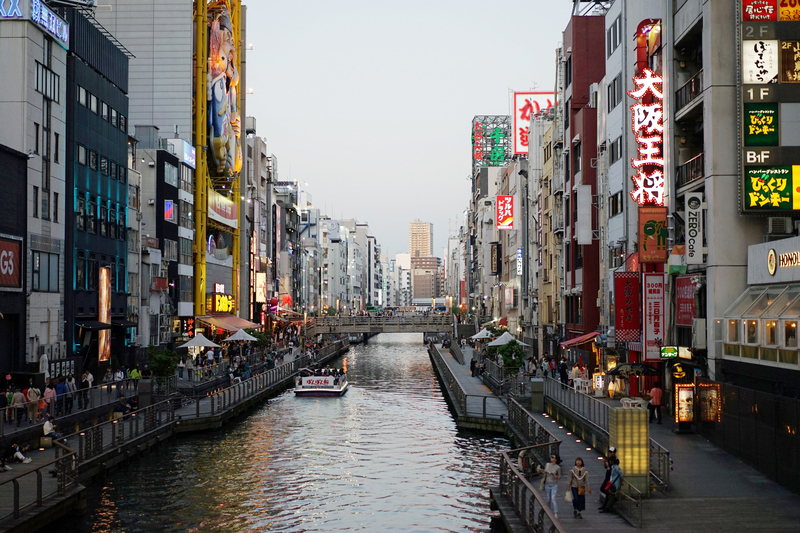 The sunset over the famous Dotonbori river is really beautiful. 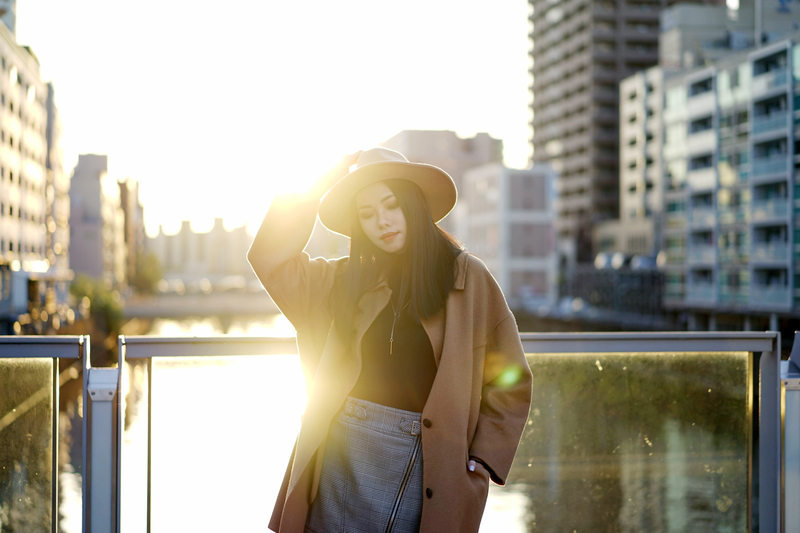 The sun sets between the high rise building parallel to the river flowing down the middle. So we had unobstructed view of the setting sun! I was gobsmacked with the result. By nighttime, the crowd came out like ants. I’ve never seen so many people congregate in one spot! It’s so noisy and bright, but I love it! If New York is the city that doesn’t sleep. This place would be the city that lights up all day long. I wish I could’ve stayed there longer, but we had to rest for Kyoto the next day. So we called it in early. ‘Till next time and have a good rest! Hello Olivia! Can you share the camera and lens you are using? Love your photos! Thank youuuu!